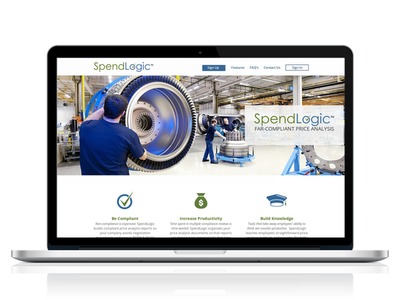 Patrick needed a website to promote and increase the sales of his Far-Compliant Price Analysis tool, SpendLogic. When you’re running a small business that is in growth mode, the dream scenario is to work only with vendors that are self-reliant, communicative, and always hit both schedule and budget. However, it’s rare that this is actually the case. Catarina is an example of that dream scenario vendor. Our first project with Catarina started out as a refresh of a few minor elements on our main business website. Her talents quickly became clear and shortly thereafter, we retained her for additional website development and SEO work. Besides the fact that she does excellent work, what sets Catarina apart from other vendors is her diligence in communication throughout the project. She always clarifies requests before starting work to ensure there’s a common understanding of objectives and then provides regular updates before they’re requested. That means I have one fewer project to track and I can spend my time on other issues. We have appreciated her contribution to our business and will continue to work with Catarina well into the future. Provided three wire frames’ mock-ups for the client to chose the most appropriate to his project. Installed Divi to the server, created a Child Theme and Customised it to match the selected mock-up. Setup Google Analytics for the client to track Unique Visitors and website traffic.